Turkish soldiers have demolished a school providing education in Kurdish in Yalaza village of Amed's Lice district. Rojava Kurdistan has created an important distinction in the region with multilingual education; the languages of the peoples ignored and assimilated by the Baath regime for years have received a lifeline. 6th Copenhagen Kurdish Film Festival began and will continue until February 12. An event organised by Kurdistan National Congress (KNK) for guerrillas and peshmergas in Kirkuk was marked by a message of national unity. Kurdish artists attending a panel discussion in Sulaymaniyah said: National politics and interests should be taken as basis, not party interests. Assets of the Kurdish Institute of Istanbul, which was closed down in December 2016, have been seized today. Writer and Özgür Gündem Publication Advisory Council Member Aslı Erdoğan has been awarded the 'Bruno Kreisky Prize for Human Rights', the oldest, most prestigious human rights award in Austria. The Kurdish Institute of Istanbul has been closed down by the AKP government. Christians in Kirkuk celebrated the birth of Jesus during the mass they held in Gorgies Church. Vienna Kurdish Film Days 'Sercavan' kicked off with “The Swallow” film by Mano Khalil on November 24. Kurdistan Film Days to be held in Geneva from October 4 to 8 will bring the reality of Kurdistan to the audiences through film. Many organizations that are critical of UNESCO announced that they would be holding a ‘counter forum’ in Istanbul. YPG (People's Defense Units) has reported ongoing attacks by Turkish army and ISIS gangs on Rojava (West) Kurdistan. Seminars promoting the Kurdish people's leader Abdullah Öcalan's book “Manifesto for a Democratic Civilization” has drawn great interest in the universities of Oxford and Cambridge. The first book of the Democratic Civilisation Manifesto by Kurdish People’s Leader Abdullah Öcalan was translated into Spanish and is being promoted in Latin America. Filmamed’s theme this year is ‘resistance,’ and the festival is dedicated to filmmaker Balıkesir who was murdered in the ‘basement of savagery’ in Cizre. Hevêrk, a film on the tragedy of Êzidîs, received the Viewers Choice Award at the 69th International Cannes Film Festival. 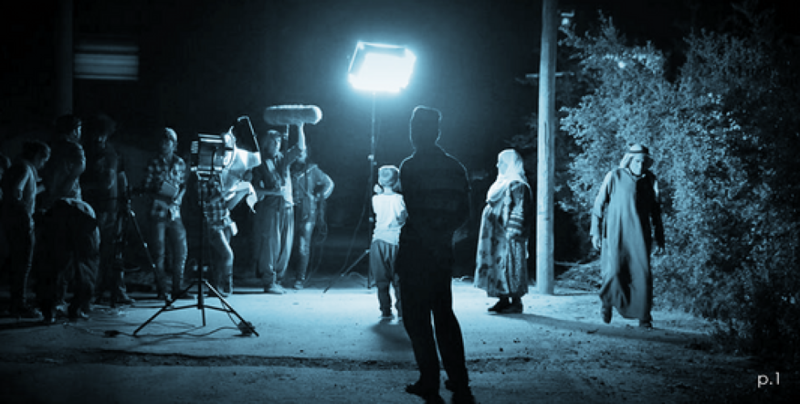 Director Rûken Tekeş stated that she wanted to portray the tragedy of Êzidî Kurds. “Sara - My Whole Life Was A Struggle” documentary on the life of Kurdish revolutionary woman Sakine Cansız will be screened at the International Film Makers Festival held in Nice, France. After the heavy clashes last night, two major explosions took place in the Dicle and Cumhuriyet neighborhoods of Şırnak. Many ambulances arrived at the explosion site and significant aerial activities continue at nights. Children in two preschools in Sävedalen, close to Göteborg in Sweden, celebrated Newroz together. The historic town of Hasankeyf, located on the Upper Tigris River in southeastern Turkey, has been selected as one of Europe’s “7 Most Endangered” heritage sites for 2016. Ghobadi’s film ‘Life on the Border,’ depicting the stories of 8 children from Kobanê and Shengal who escaped ISIS brutality and ended up in refugee camps, was shown in Berlinale. 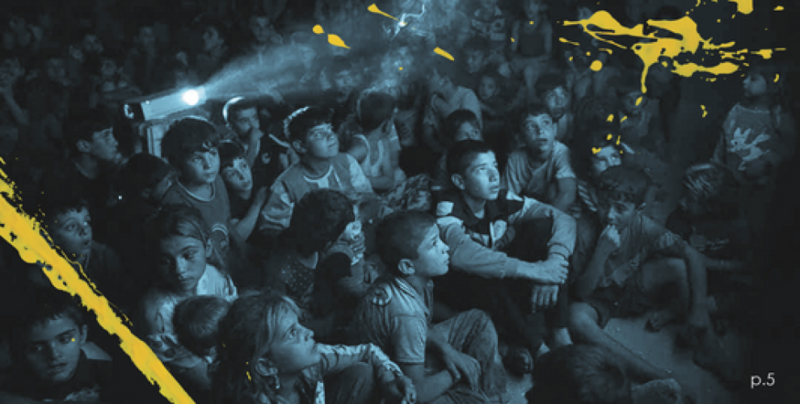 The film emphasizes the tragedy of Kurdish children. ISIS gangs continue destroying historical sites in Syria. Gangs affiliated to the barbaric Islamist organization blew up the ancient temple of Baal Shamin in the ancient city of Palmyra in Syria on Sunday. British geographer, political economist, social theoretician and activist Professor David Harvey met his readers at the Amed Book Festival yesterday.